To foster democracy by strengthening the institution of Legislature through informed legislators, Smart and intelligent officials and encouraging greater engagement between the public and the Legislature . Niyamasabha Visit- Students from SD College, Alapuzha 31.10.2017- Photos. Diamond Jubilee Lecture by Shri. Jayaram Ramesh, 14th June 2017- Photos. Training and Development helps in optimizing the utilization of human resource that further helps the staff to achieve the organizational goals as well as their individual goals. Training is essential to provide an opportunity and broad structure for the development of human resources' technical and behavioral skills in an organization. It also helps the employees in attaining personal growth. It helps to expand the horizons of human intellect and the overall personality of the employees. Training and Development helps in inculcating a sense of team work, team spirit, and inter-team collaborations. It helps in creating the right learning culture within the organization. Training and Development helps in creating the healthy working environment. It helps to build good intra institutional relationships so that individual goals align with organizational goals. Organisations need staff at all levels to be more self-sufficient, resourceful, creative and autonomous. It is a challenge for any organisation of repute to develop greater confidence, initiative, solutions-finding, and problem-solving capabilities among their human resource . This behaviour enables staff to operate at higher strategic level, which makes their organizations more productive and competitive. People's efforts produce bigger results. It's what all organizations strive to achieve by focussing on developing the person, not the skills. Performance and capability are ultimately dependent on people's attitude and emotional maturity. It is mandatory for any organisation to provide a platform for trust, 'emotional contracting' with the organisation, and subsequent skills/process/knowledge development relevant to managing higher responsibilities and roles . Centre for Parliamentary Studies and Training of the Kerala Legislature aims to provide Legislators, Legislature staff and other stake holders of parliamentary democracy with institutionalized opportunities for systematic training in the various disciplines of parliamentary institutions, processes and procedures. Governments all over the world are seeking innovative modes and manners to improve delivery of services The imperative of appropriate training and capacity building of personnel working in any organization has increasingly been recognized the world over in recent decades. Such training helps to improve the effectiveness of the organization and enhance the efficiency of the available manpower, besides enabling optimum utilization of the human resources. In an era of professional specialization, organizations and institutions have laid special emphasis on institutional arrangements for imparting requisite training of their personnel. In-house training, deputing personnel for training in recognized institutions, attachment with professional training institutions, etc. have become important components of augmentation of the professional capabilities of officers and staff of organizations everywhere. Induction Courses, Foundation Courses, Refresher Programmes, Orientation Programmes, etc. have emerged as integral to holistic capacity building of personnel in all organizations. Legislators of today have varied functions to perform, apart from their conventional representational role, more so in the context of the Legislature itself evolving as a multi-functional institution. 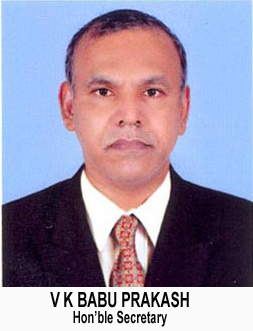 Like any other organization, in the case of democratic institutions too, officers and staff working in the Legislative Bodies require training and exposure to acquaint themselves with the latest developments, so that they can assist elected representatives to perform their manifold roles efficaciously. Legislators have to be well-versed with issues like the primacy of Legislature in a democratic polity, procedural mechanisms available to them to raise matters on the floor of the House, practices and procedures of the Legislature Committees, privileges of members and the House, conventions of the House, traditions and etiquette, etc., if they have to emerge as effective representatives. They also have to be thoroughly familiar with the legislative and budgetary processes, Legislature-Executive relations and the relationship among the Organs of State. Besides, they have to have a sound understanding of the functional dynamics of parliamentary institutions, how to secure Executive accountability to the Legislature in all its manifestations and the pulls and pressures of democratic politics. All these call for continuous efforts to facilitate capacity building among members of Legislature, besides Legislature staff. This becomes all the more important in an increasingly information-driven world order wherein the utmost emphasis has to be laid on the development of informed legislators and legislature officials who can adequately support them. Since effective and efficient working of Legislature calls for constant upgrading of the skills of the Legislature staff in particular, there is a need for their extensive as well as intensive training. Such measures will assist Members of Legislature and Legislature staff to maintain the highest standards of professional excellence. There are various stakeholders who make a parliamentary democracy work successfully. Besides Members and Legislature staff, these stakeholders include the media, the Civil Service, the academic community, including students, civil society and the citizens at large. In the course of its evolution, parliamentary democracy has evolved several highly specialized procedures and processes, of which legislators, policy-makers, administrators and others should have a good knowledge. In a parliamentary democratic set up, it is only the institution of Legislature, which can impart such knowledge to all stakeholders of democracy. Thus, the onerous task of conducting relevant studies and enabling the required orientation and training of the stakeholders falls on the Legislature itself. 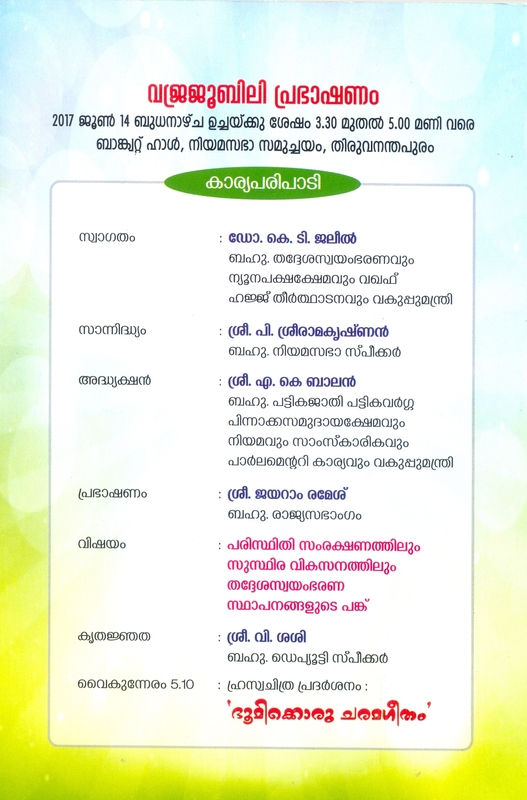 Orientation Programmes, Lectures ,Workshops and Seminars for Members of the Kerala Legislative Assembly . Round Table Discussions on topical legislative themes. Attachment Programmes with the BPST , Lok Sabha Secretariat for foreign parliamentary officials . Training, Attachment and Study Visits/tours of Presiding Officers, Members and officers of sister Legislatures. Training Programme in Legislative Drafting. Orientation Programmes and Seminars for Media Personnel accredited to the Press Galleries of the Kerala Legislative Assembly. 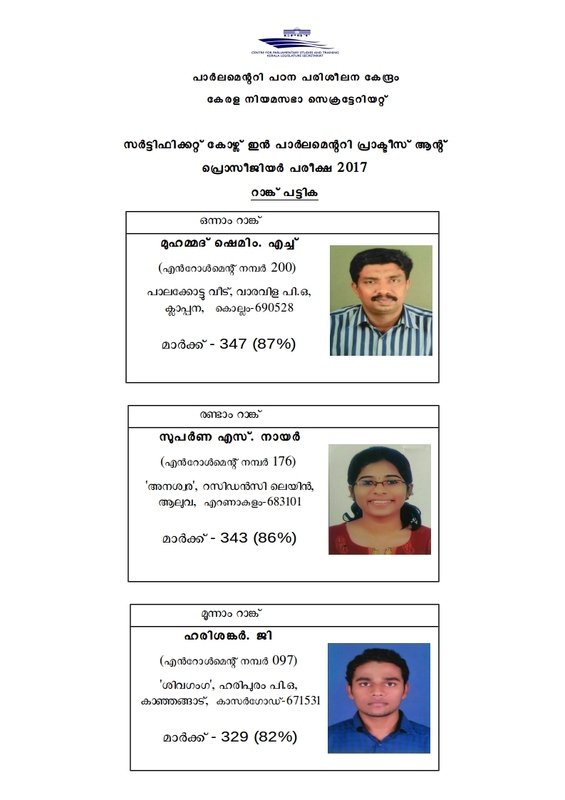 Appreciation Courses for Probationers of All India , Central Services and Middle Level officers of the Government of Kerala. Study Visits for Government officers, academics, scholars and students . Training, attachment and study tour opportunities for Members and officials of the Kerala Legislature Secretariat to sister Parliaments and training institutions. Induction Training for staff of the Legislature Secretariat. Publication of Papers on Legislative themes. Conducting of Certificate Course in Parliamentary Practice and Procedure. Internship Programme for Law Students. 1 Study programme for students of Govt. 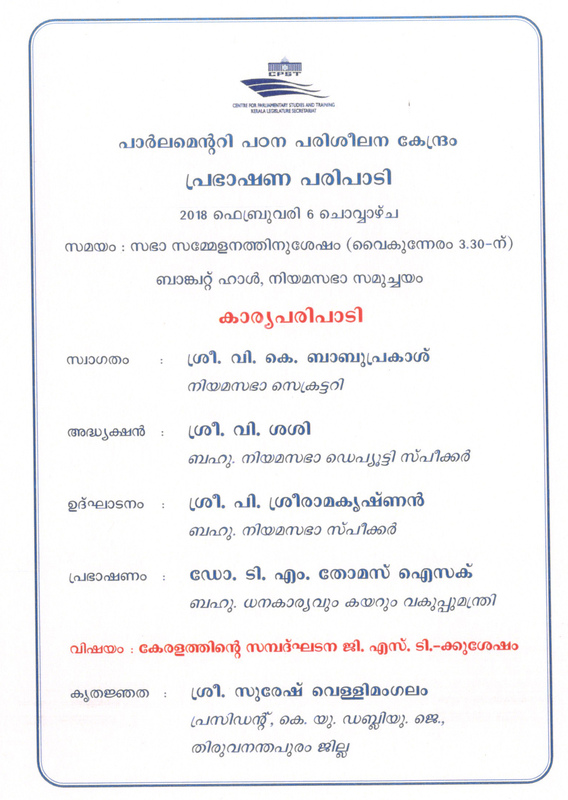 Women's College, Thiruvananthapuram 19-1-2016 FN . 2 Attachment with CTFM-Study Visit of staff of Finance Department 19-1-2016 AN . 14 Management Development Programme for D.Secretaries, J.Secretaries & A.Secretaries 20-4-2016 FN . 15 Internship Programme for Law Students 1-4-2016 05-05-2016. 20 Internship Programme for Law Students 13-6-2016 . 26 CPST-UNICEF Initiative, Lecture programme on Emerging & Second Generation Issues of Child Rights in Kerala 23-8-2016 . 27 Meeting-Discussion on CPST Development Plan 22-9-2016 . Indian parliamentary democracy has no match in the world and democratic values are part and parcel of the life of common man in India. Thus democracy, the life breath of one of the greatest nations of the world; has been, is and will be very significant for India. A democratic parliament for its part will seek to foster a vibrant civil society and to work closely with it in finding solutions to problems facing the country and in improving the quality and relevance of legislation. Informing citizens about the work of parliament is not just a concern for the fourth estate, but is a responsibility of parliaments themselves. The Open and Distance Learning System with its inherent flexibility and affordability has emerged as an important mode for providing education and awareness to various sections of the society in the present day educational scenario. Being the forerunner of many democratic innovations in India, Kerala Legislative Assembly, as part of its Quasquicentennial initiatives conducts a Certificate Course in Parliamentary Practice and Procedure in the distance education stream to propagate the idea, principle, philosophy and practice of parliamentary democracy. · The Course shall be an awareness and learning programme designed for those who have no experience with parliamentary procedure and for those who are interested in learning parliamentary practice and procedure. · The Course shall be a basic level certificate course on parliamentary practice and procedure. · The Course shall be run in distance education mode and shall include contact classes along with assignments and workshops. 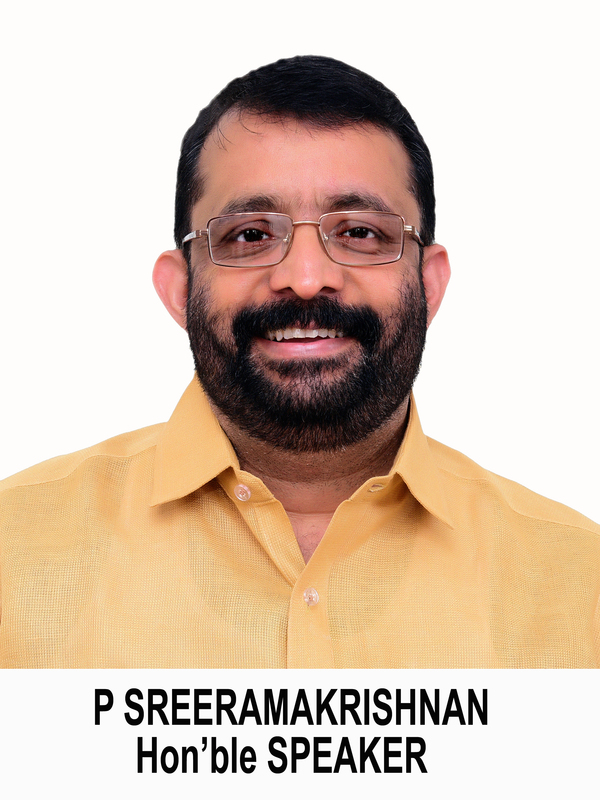 · The Course shall be managed, regulated, conducted and controlled by the CPST which was established as an integral division of the Secretariat of the Kerala Legislature. · Admission will generally be open to all eligible candidates and there will be no age bar for admission to the course. · Minimum qualification for applying for the Course will be a pass in Higher Secondary or equivalent qualification as approved by the Universities in Kerala. · Those who are awaiting results of the qualifying examinations are also eligible to apply. · Maximum number of seats shall ordinarily be 250 (Two hundred and fifty) for an academic session or as decided by the Governing Body for the Course. · Minimum number of students to commence a batch shall be 10 (Ten). · There shall be registration fee and course fee for admission to the Course. Registration is valid for two years from the date of registration. The Course shall ordinarily be of six months duration. · Strictly need-based Personal Contact Programmes (PCPs) may be arranged by the CPST to principally facilitate face-to-face interaction between the students and our subject teachers who give due academic counselling to the students. Medium of instruction shall be English or Malayalam. Unlike regular programmes this Distance Programme is self-paced and learner- centred. It will essentially be based on the supply of reading materials for home study by the learner. Printed study materials are supplied to the candidates. While these Self Learning Materials (SLMs) give the students the required academic guidance, they are advised to supplement their reading at home by thoroughly going through the books suggested for reading . Study materials for the Course shall be prepared and circulated by the CPST. · Examinations will be conducted at the end of the course and the centre of examination shall ordinarily be at Thiruvananthapuram. · Application for examination shall be made in the prescribed form along with the prescribed fees . · Medium of examination shall be English or Malayalam. · A candidate will be declared to have passed the examination only if he/she obtains a minimum of 40% of marks for each and every paper. · A separate minimum of 50% marks is necessary for pass in internal assessment and viva voce. Certificate shall be issued by and in the name of Centre for Parliamentary Studies and Training. Commission Report on Salary and Allowances to Members. Notes on Procedure in Financial Matters. Budget –Preparation ,Implementation and Control. Notes on Orientation Programme for Members.